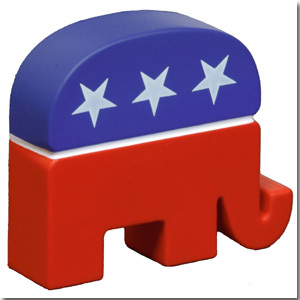 …the Ames straw poll…and the Republican debate! Okay, first the debate. On Thursday the “major” Republican candidates will take the stage to not debate at all. The goal of the debate is not to debate but to bash President Obama. After all, this is the Republican party. Given the events of the last week I would expect each and every participant to spend his or her time blaming the tea party downgrade on President Obama…following the script laid out by the tea party lobby. A script so bizarre that it actually had one pundit blaming Obama for starting a recession in 2007 and the collapse of the economy in 2008…before he was even elected. If there is anything of value to this debate it is in its potential to eliminate Tim Pawlenty from the race. Poor Timmy has been working hard for about three years to get noticed, only to be overshadowed by the sudden candidacy of his fellow Minnesotan, Michele Bachmann. Bachmann is actually expected to win the straw poll (more on that in a second), which would be a kick in the knees to Timmy. But even she might be kicked to the curb if she doesn’t totally blow the field out of the water (er, drought). Since Texas Governor Perry is supposedly ready to jump into the race (or not), Bachmann may be related to the same bin as Tim who. Oh, Romney will pretty much ignore everyone else and just bash Obama. One more thing about Pawlenty. He’s put himself between a very large rock and a very hard place with his wimpish retreat in the last debate from his pre-debate puffery. So if Pawlenty decides to ignore the Obama-bashing script and instead takes a few direct shots to the faces of Romney and Bachmann (figuratively, not literally), then the debate could make him a star. Or a goat. If he again wimps out of his “safe behind the Fox desk” criticisms of fellow candidates, then he’s a goner anyway. Frankly, Pawlenty is in a lose-lose situation of his own making. There are some other people at this debate, but they pretty much don’t matter so I won’t bother going into them. It’s too early to bow out so I’ll have at least one more chance for most of them. Well, this little diddy went a lot longer than expected (it’s Obama’s fault), so I’ll pick up on the straw poll in the next post.